In the proposal of the NPC & CPPCC this year, there is an entitled "accelerating the development of prefabricated construction industry" has attracted the attention of relevant people. The proposal was offered by Mo Changying, she is a member of the national committee of the Chinese people's political consultative conference and vice chairman of the Guangxi Zhuang Autonomous Region. Since last year, "prefabricated construction" becomes "hot word". “The Government Work Report 2016” clearly put forward to promote green architecture and building materials and to develop the steel structure and prefabricated construction, to improve the quality of construction engineering standards. The State Council issued Some Suggestions on Further Strengthening The Management of Urban Planning and Construction, to develop the new building mode. Within 10 years time, the prefabricated buildings accounts for 30% of new buildings. At present, our country is relatively mature in the material and technology of the prefabricated construction. Now we need the national policy to support the development of the prefabricated building industry. 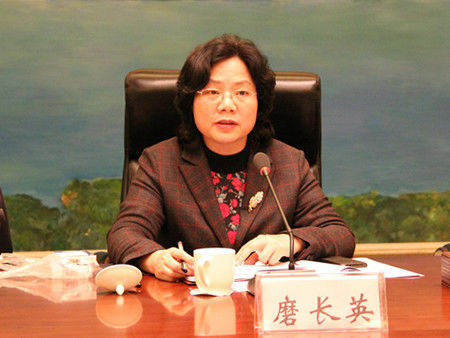 Mo Changying suggested that the government should create a perfect policy measures and system: on the one hand, in architectural design, production, installation acceptance and maintenance , each link to establish "game rules" of industrialization in current situation, on the other hand, to adapt to the development of planning and guideline various incentive measures and guarantee measures step by step to enter the prefabricated construction market, and form a sustainable market operation mechanism. In addition, it should speed up the establishment of prefabricated construction national standards, industry standards and local standards, support enterprise standards, strengthen technological innovation, encourage social groups to organize the formulation of standards, and gradually establish a perfect process covers the design, production , construction and maintenance of prefabricated building standards system. It is the whole process of architectural design, residential construction components production, residential construction equipment production and supply, construction, sales and after-sales service and on the links to complete industrial system, fundamentally improve the quality of the housing. At the same time, we should establish and improve the technology research and development innovation team, technology innovation system and effective management and operation mechanism combining production, learning and research, so as to further improve enterprise innovation and development ability. Social aspects related enterprise take the innovative spirit of prefabricated building construction machinery research and development and application of research related to high and new technology with emphasis, drive the whole construction industry the development of science and technology innovation. Positive development and promoting the advanced and mature new material, new technology, new equipment, new process, improve the scientific and technological achievements conversion rate, and the proportion of green building materials in the application of prefabricated construction quality, in the technology of residential construction lead to the development of relevant industries. Mo Changying said the government can take the lead in using the prefabricated building in re-housing projects, and it will help the develop of prefabricated construction.Through the implementation of the project to solve the cost problem, highlight the significant advantages, and promote the assembly building more quickly on the healthy development track. Recently, the seminar of “Development of prefabricated buildings to create green intelligent Xiongan” was held in construction site of public service center of Xiongan New Area. In future, the green prefabricated buildings will be used widely in Xiongan New Area to promote the urban construction in high quality and efficient to form a series of standards and create green, intelligent and reproducible urban construction Xiongan Mode. The delegates agreed that there is huge room for the development of prefabricated buildings. Its energy conservation and environmental protection build ideas and patterns meet the target to create world-class green modern smart city, and play important role in new area construction. At the same time, Xiongan New Area will applicant the construction model to serve as a benchmark, and to promote the development of China's prefabricated construction industry. Feb 19th, 2018, CCTV reported the prefabricated construction in Xiongan New Area. the enthusiastic engineer said the prefabricated building in Xiongan New Area will be the model of national construction industry under the support of government policy and high technology. Sanlian Machinery walked at the forefront of the prefabricated building industry, the hot product is EPS wall panel machine, including vertical wall panel machine and horizontal wall panel machine. The vertical wall panel production line solve the problem of manual de-molding and grouting, save the labor cost and improve the product quality. The new horizontal wall panel machine is double layers, the first line in China and the automation and productivity is higher. In recent years, the wall panel machine of S.L Machinery is complied with national policy and market direction, and its energy-efficient and environmental advantage is popular in the industry.